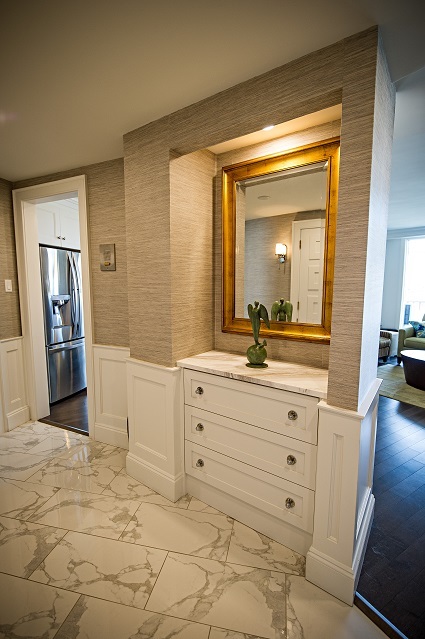 This condo was once a second home and the goal was to make this the couples primary home. 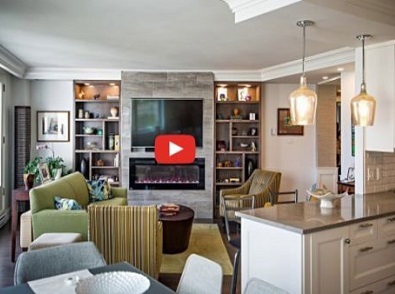 It is now a modern, elegant, and welcoming home for this professional Halifax couple. 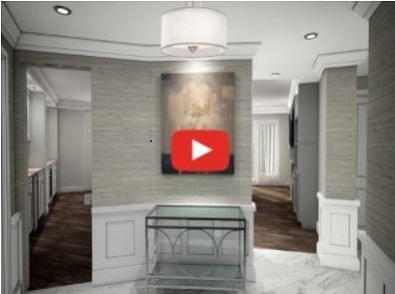 The original condo was in need of new flooring throughout, pull and replace bathrooms, complete remodel of kitchen, electrical upgrades along with updated interior doors and trim throughout. 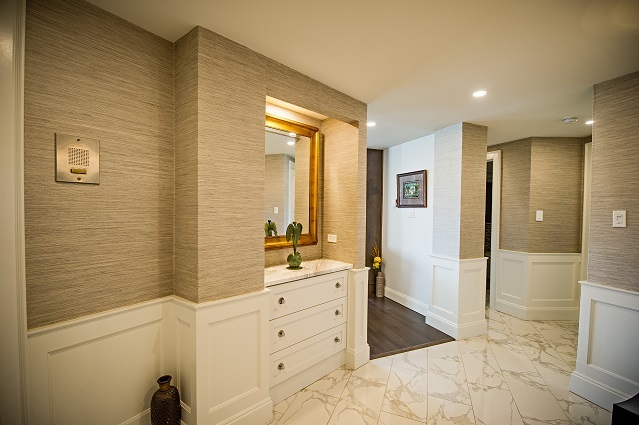 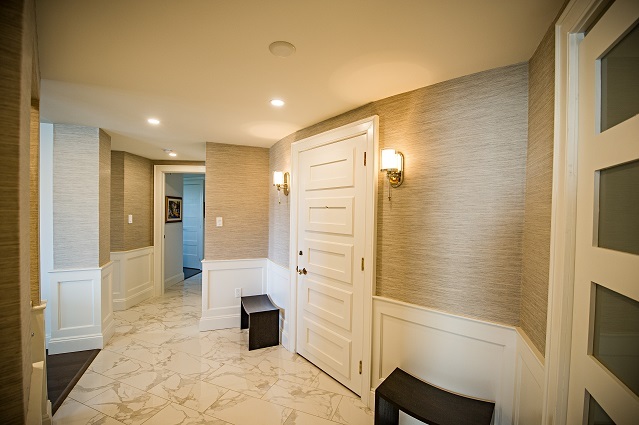 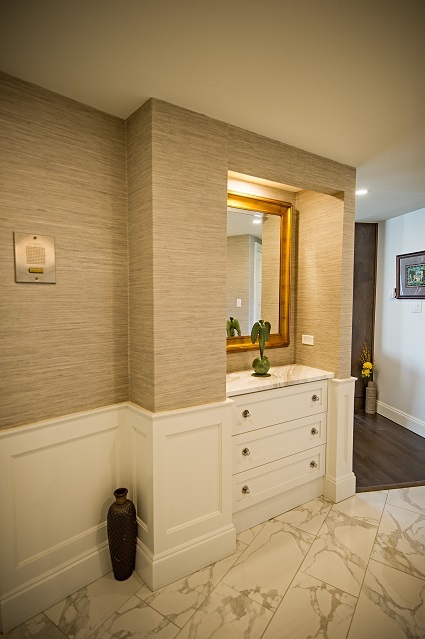 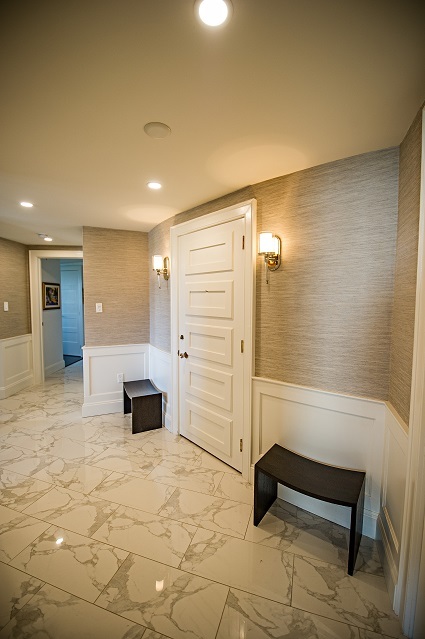 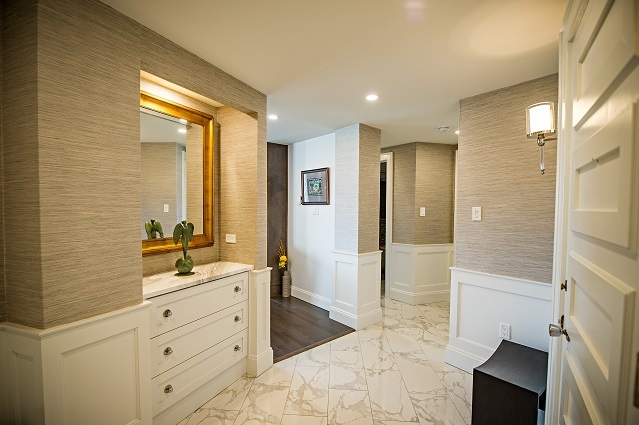 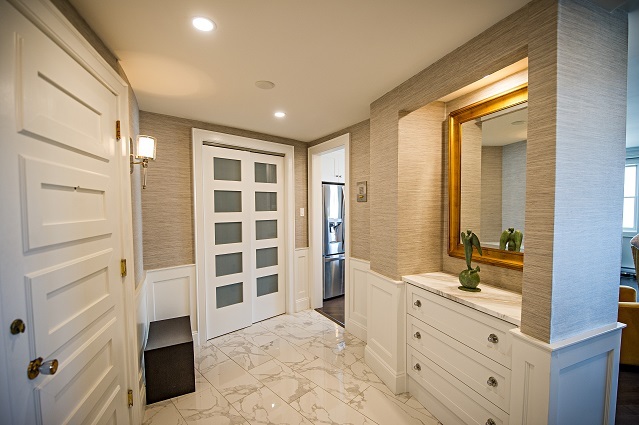 The foyer entrance hall includes custom wainscoting paneling, pot lights, wallpaper, and a new access to a foyer closet.